Elroy Project has this week launched a new Kickstarter campaign for their Elroy Bluetooth Earbuds which have been designed to allow you to rid yourself of the annoying cord that comes attached to most headphones, and earbuds, and replace it with a bluetooth unit that clips to your clothing. Elroy comes equipped with Multipoint technology and can be connected to up to 7 devices. 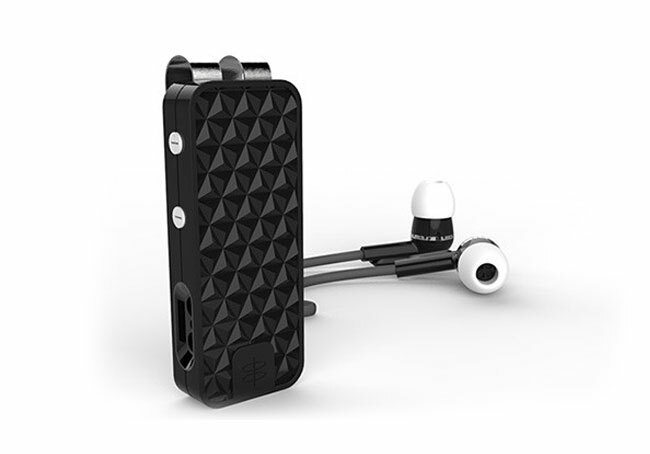 Watch the video after the jump to learn more about the Elroy Bluetooth Earbuds project. The new Elroy Bluetooth Earbuds have been designed by Timbuk2 founder, Rob Honeycutt, who has created the new earbuds without the lower 2/3 of the cable. The Elroy Bluetooth Earbuds are currently over on the Kickstarter website looking to raise enough pledges to make the jump from concept to production. So if you think Elroy is something you could benefit from, visit the Kickstarter website now to make a pledge and help Elroy Bluetooth Earbuds become a reality.